This ModPack has based on IC2 add-on GregTech unofficial version. Make changes if there are simple changes that can be made with the machine GregTech recipe, make there alone. And able to create useful machine added in the other Mod is to proceed with it. 01. Making the Torcherino and Quarryplus to run them. 02. Making the Ultimate battery. 03. Making the UV solar panel. 04. Making the ME 16384k Storage. 05. Making the Creative only items! Take a look at the download, make sure! We are doing intensive removal of recipe bugs. If you report a recipe that you can not make, a strange recipe, etc., it will be greatly appreciated. And thank you for 5000 downloads! I can't craft Carved 'Eminence' Stone for create last Millennium portal. Craft can not be done even with regular recipes. I can not post in Japanese. It is English. > It seems like Greg was unable to make an ID shift at the time of his update. Thanks for reporting. And ,can not craft with Turtle and tools in ComputerCraft. > I think that it was not able to make it by the update similarly. Put a fix at the same time. > No, you don't have to worry because the language is understandable to some extent using translation. Because the person of writing below happened to know with the Japanese, it answered by Japanese. > By the way, the reason I support Japanese is that I'm Japanese, but I just write because I have a lot of crafter to enjoy Greg in the same way. > I'm sorry if I made you uneasy. Download count exceeded three thousand!! I didn't think it was going to be over, thank you so much. I will do my best to be able to exceed five thousand!! You must first right-click with the Magnet Card in hand before using the keybind! There was an update of Gregtech unofficial, for a while to update the bug at once. 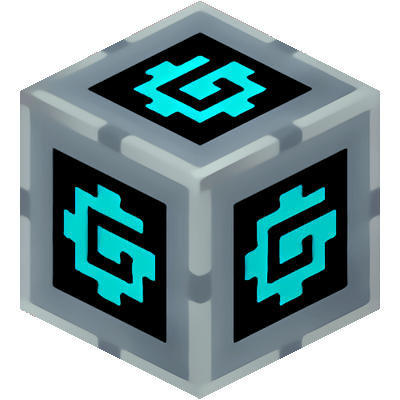 And stop updates other than the non-progressive and critical bugs, and concentrate on the development of Gregtech Skyblock. But , Buildcraft pump recipe has been deleted. So , Ender-Thermic Pump can not be created. I'd like to fix it. > oh... We'll be ready to respond!! Ender-Thermic Pump can not be created. >Fixed at 4.2.7(Hotfix3). Thank you! I want to play GregTech Expert in multiplayer. Is there a file for the server? I also want to play with GregTech Skyes. I am looking forward to playing your MOD PACK. > Yes. But as the previous version (4.2.3) So, keep the update early. I'm sorry. I plan to do GregTech Expert next month. Is it possible bug fix and server files create during this month? I'm waiting for your reply!! Thenk you for updating MOD PACK. By the way, do you have a prospect of creating server files? > I created it and uploaded it, but decided to put it on GitHub because I did not get approval. The Modpack of the data in development and the Gregtech Skyblock also decided to manage at the same time. I checked GitHub, but I can not find the file. I'm sorry to keep you updated, but I would appreciate it. This time I noticed by chance, but if there is no progress somewhere, you can say a word, it would be helpful! !